A Cyber crime is an Computer Networking Attack (CAN) wherein a computer can be targeted for pulling out vital information. Traditional internet crimes like identity theft, hate crimes & internet fraud and also credit card frauds are considered as cyber crime. People commit illegal activities through access to vital information of computer and the internet. Cyber-crime is also called Identity Theft wherein cyber criminals use someone else’s personal information to do transactions or represent someone which is illegal according to law. Although, Internet has been a boon for all of us and made our lives much easier but it’s unfortunate that some people use this to take advantage of others. There is no awareness even in the Indian Judicial System to give any type of definition as to what ‘Cyber Crime’ stands for and it doesn’t even include any penal code for the same. The attacks that happen over the network are of wide ranges starting from illegal transactions on your bank account or representing you without your approval, there are ways of improving your computer’s safety and security measures. 1) When your computer becomes the target its termed as either Virus Attack or a computer hack. 2) Cyber Terrorism can include credit card frauds, identity theft where your computer is used as a machinery to spread violence or do illegal transactions. The 20th century was an internet boon and the world was open to everyone having an internet connection but it also has its cons. Cyber Crime presents risks when you use the network without any proper security. Big corporates today are getting themselves secured to avoid any Cyber attack as they have to protect their corporate credit health and they have a lot at risk compared to individuals. Identity theft protection comes in many different forms. The first step in protecting yourself is to understand a few basic facts about identity theft. Identity theft protection services can help you monitor your account. It can remove your name from the marketing mailing lists and you shall be alerted for this. Its valuable and a time saver for many to pay a credit health company to keep track of customer’s financial health (accounts), credit reports and their personal information. Others opt out to do this in their own time. b) Having paper shredder can help safeguard your identity (personal information) and pre-approved credit offers in wrong hands. According to reports, Identity theft is one of the fastest growing crimes across India. Assuming your entire identity is the not the only way identity theft might occur. Someone using your PAN information or address or in cases a credit card or doing transactions on your behalf without your permission is Identity theft. Identity theft protection shall give you a cover wherein you can secure your line of credit for any loss occurred due to misuse of your identity against your permission. India is under the grip of cyber attacks and there is an obvious peak in the growth of malware and their modifications on mobile devices, especially on the Android platform, according to a report. 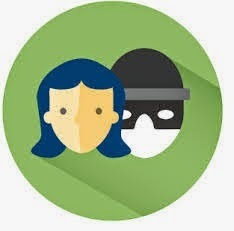 Though PC is still the prevalent target for malware authors, there is an obvious peak in the growth of malware and their modifications on mobile devices, especially on the Android platform, The Quick Heal Annual Windows and Mobile Malware Report, 2012, released by Quick Heal Technologies, a leading player in India’s anti-virus segment said Mumbai. As per the findings, there has been a persistent increase in the number of malware attacks on the Google Android platform and mobile applications have become the easiest way to compromise devices, the report said. According to the Report, social engineering still remains one of the most coveted ways of spreading malware. Cyber criminals continue to use it as a convenient way of exploiting human behaviour and platform vulnerabilities. The report reveals that India is under the grip of cyber attacks with increase of almost 90 percent in Windows malware and a mind-boggling increase of 170 percent in its modifications and the bad guys are also winning the war in the mobile platform. Virus attacks in the mobile space have started soaring at a rapid pace with 30 percent growth registered in 2012 and 80 percent increase in its modifications. Commenting on the findings of the research, Sanjay Katkar, Technical Director and CTO, Quick Heal Technologies, said “Windows is still the most attacked Operating System. 2012 saw numerous attacks that were devised for windows vulnerabilities. 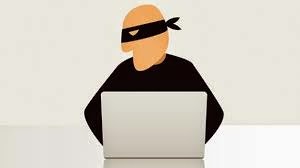 Cyber criminals have leveraged zero-day exploits even more effectively with new software patterns and business models”. The web is still the most conventional way of targeting victims and our efforts should be driven to educate the end users and create awareness, Katkar said. Cyber crime has been on a tremendous increase all over the globe and especially in india. many people are getting targeted of cyber crime and the number is going up at an alarming rate. CS IdentityShield helps you to Monitor, Protect and Recover your Identity from multiple risks.